Upload Your School Logo For A+ Grad Announcements! Hey parents, we hear ya – we always embrace graduation with mixed reactions. Proud mama-sized tears…jumping for joy! Nostalgia for when your kiddos were younger…happy that you don’t have to pay tuition anymore! 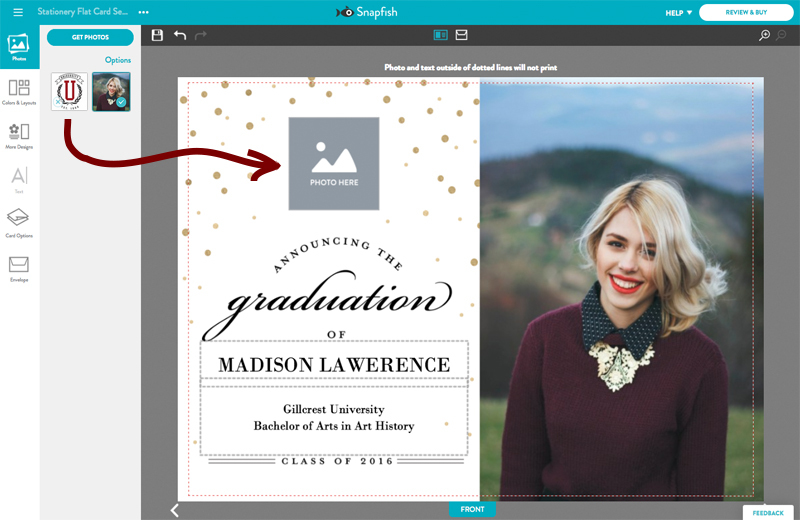 These sentiments are heartfelt, and we made sure that your grad announcement options are just as personal. We handpicked three classic designs that you can personalize with an extra special touch: your school logo! Most schools have a page on their website where students can download high-res versions of their seal or logo. Save it as a .jpg and upload the image to your Snapfish account. Select the grad announcement you like best (links to cards with logo options are below), and pop your school logo in the grey box. Upload your favorite photos of the grad. Lookin’ flawless! Shop Grad Announcements: Grad School Logo Modern 2016, Grad School Logo Classic, Grad School Logo Class of 2016. Want a little extra credit? 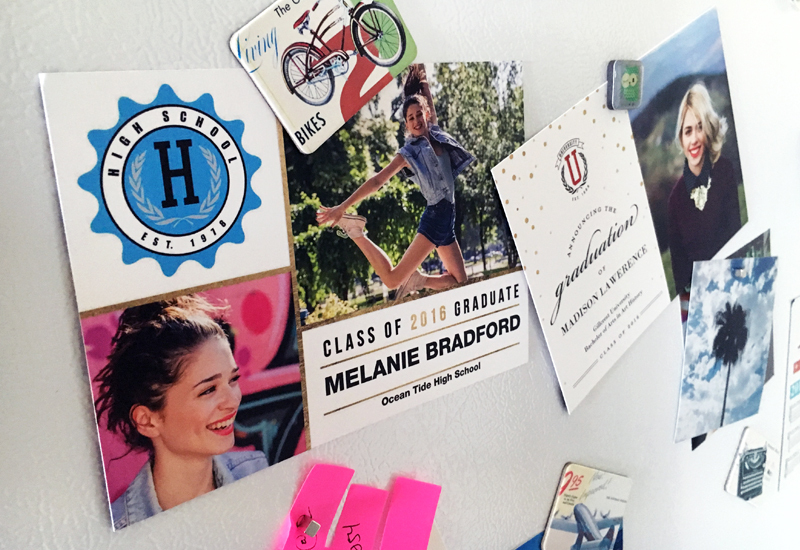 Share your fridge-worthy graduation cards on Instagram and hashtag #Snapfish! P.S. Try out a set of 6 grad cards – on us! Use code TRYCARDS to redeem. Get the deets.